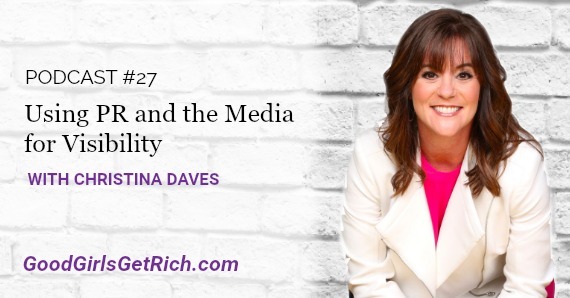 This week, Good Girls Get Rich features, guest, Christina Daves. Christina is a serial entrepreneur and award-winning inventor who founded PR for Anyone and is the author of PR for Anyone. Christina wanted to handle her own PR, so she taught herself everything she needed to know. With no PR contacts, Christina still managed to appear in over 50 media outlets (including national and local television, magazines and radio) in her first year of business. From Steve Harvey and Dr. Oz to local affiliates of NBC, CBS, FOX and the CW, to national publications like Parenting Magazine and The Washington Post, Christina has been able to secure appearances in many major media outlets. If you do the work, you will see results!